Our Spring 2019 Open House Horse Show is open to the public. 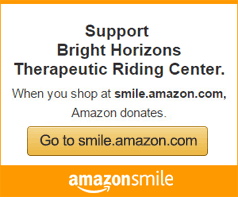 Bright Horizons riders will show off their horsemanship and riding skills in demonstrations and horse show classes. Bring the whole family! Raffles, games, and food available for purchase. TWO Weeks of Summer Camp! Ages 4 and up. All abilities welcome! July 15-19 is for Beginner-Intermediate level campers. August 5-9 is for Advanced Level campers. See Flyer for details. Our sessions include horsemanship skills and riding. We offer therapeutic riding, recreational riding, EFL, EFP and interactive vaulting. Learn more. 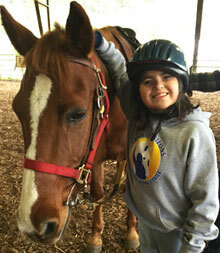 Bright Horizons Therapeutic Riding Center is one of only 4 PACs in Oregon to achieve this level of excellence. Worldwide only 30% of PATH Intl. centers are Premier Accredited Centers. See press release. FREE eNewsletter Sign Up form - Stay current with what's happening at Bright Horizons! This is your chance to work with horses and riders directly or to contribute away from the barn. Volunteers are an essential part of Bright Horizons!